Instagram in the travel world can be an inspirational space if you follow people who challenge you to reflect on your experiences abroad. Isabelle, writer and creator of Dominican Abroad, is one of those people. 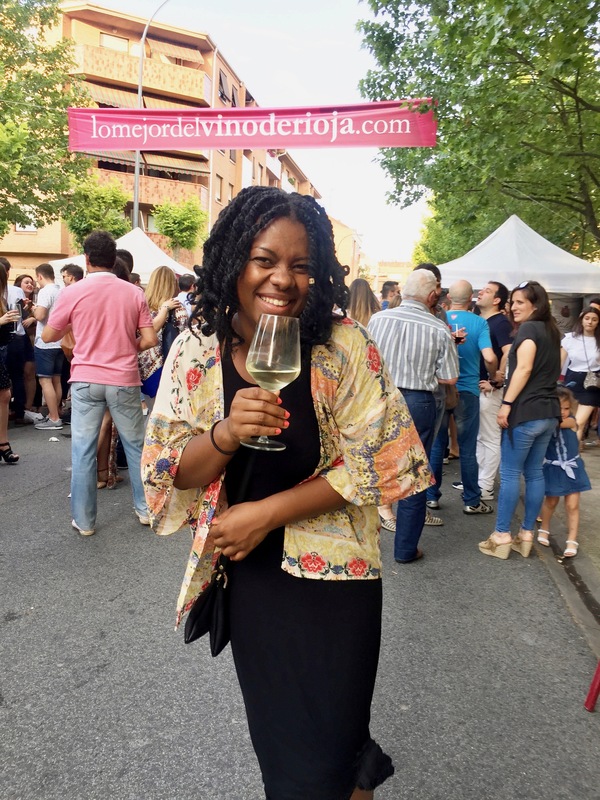 She recently wrote a post, titled “Why I am Dominican Abroad and Not American Abroad,” where she broke down the importance of her blog title and cultural heritage as a Dominican-American traveler. From representation and inspiration to breaking stereotypes, enough points hit home for me as a fellow Diaspora-American that I was inspired to share. Especially, for all those who are traveling while black and any African-American traveler. Diaspora-American is a term, one that Isabelle used in her Instagram caption, that I understand as someone who was born in the U.S even though their ancestors were forcibly dispersed from their homelands. As an Black/African-American woman, I identify as such too. After reading Isabelle’s perspective, I thought about my own identities as a Black/African-American traveler. Having done two stints in Spain, one studying abroad and another teaching English, of course I learned the Spanish equivalents of “African-American” and “American” to define who I am in various contexts. The translations were “Afroamericana” for African-American and “Estadounidense” for American. They both describe my ethnicity, race and nationality so they’re easy to use, right? ​Why? First off, it’s true. Since I’m American, and benefit from the privilege of traveling with that blue and gold passport among other things, it would be condescending to say I’m not. It’s also what I learned when I registered for classes during my orientation in Spain. My director told me that “Estadounidense” was the correct and clearer translation of someone born in the United States. She also added that “Americano” could refer to someone from North or South America. I accepted “Estadounidense” and used it on written documents. After learning these differences, I applied it to my travels and one day tried to explain all of this to a Spaniard I met. It worked…kind of. I quickly learned how difficult this is to express in Spanish, and to someone who didn’t fully understand the melting pot that is the USA. By the end of the conversation, I got hit with the “what part of Africa are you from?” inquiry again and the “morena” vs. “negra” debate. Isn’t identity labeling a fickle thing? Honestly it all comes down to this: whether I agree or disagree with the decisions going on in my community or my country, I represent both sides, Black and American, while I’m traveling. They’ve influenced how I see the world, literally. As their first Black/African-American traveler and teacher, I never knew what my students saw portrayed in the media, such as Instagram or the news, before I got there. I felt a responsibility to show them something that’s not strongly represented. We are more than the n-word they hear in their favorite rap song or their favorite athlete. It’s why I taught a lesson on Kwanzaa to my students in Spain. It’s why my classes and I created a Black History Month art project around The Reverend Dr. Martin Luther King Jr. It’s why I took the time to explain to my 4th and 5th graders the history of the n-word after someone said it in class. My pride for my culture runs deep. I want people I meet abroad to understand this depth of who we are. As a Black/African-American traveler, my identities make me more conscious of my surroundings. When in a different country, I’m aware of how many black people are in the room; if some are present, I greet them all. I listen for English speakers in bars and coffeeshops. In Logroño, I noticed the clear isolation and separation between African immigrants and Spaniards; I made it a point to engage them. When I walk in a new city, am I looked at with more smiles, stares, or side-eyes? I count how many strangers comment on my skin color, try to touch my hair or call me “Obama” (yep, that happened). Even with other Americans in Fulbright, there were many times I didn’t understand their pop culture references due to our cultural backgrounds. My identity as a Black woman is stronger than my identity as an American because of my life experiences. No matter where they occurred, all have been deeply rooted in one thing: being black and an African-American traveler. Thus in Spanish, I prefer Afroamericana more than anything else; the same in English. I can embody all my identities. Not acknowledging my blackness with “Estadounidense” or “Americana” as “American” erases part of who I am, in either language. To me, it suggests that I have no connection to my African roots or black culture which is simply untrue. I also think solely claiming “Estadounidense” or my U.S. citizenship implies my history started with U.S. slavery. It didn’t. ​To quote Isabelle, “I feel that to fully understand us diaspora kids, you have to understand that many if not most of us were not raised “American”. My parents intentionally taught me about black history before the Middle Passage. I’ve read books and articles on the ancient African Kings and Queens. My mom made sure I knew the historical significance of my namesake, Sojourner Truth. If I had a black history question I asked my father, a U.S. history teacher, and got a lecture on any topic from great black inventors to our contributions during the Civil War. And every year I celebrate Kwanzaa, which is an African-American holiday, with friends and family to reflect on how we can better our community. I am as connected as you can be for a Diaspora-American who’s journey, to this blog and these travels, has been made possible because of the sacrifice, perseverance and resilience of those before me. So you better believe I’m proudly claiming it all. ​​I am an African-American traveler. Has anyone else faced these identity experiences abroad? How do you reflect on them? Thanks for reading! If it resonated with you, PIN it to share later!